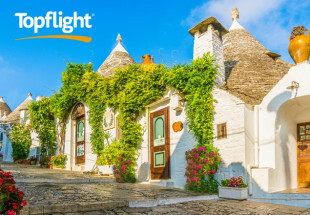 We have teamed up with Topflight - The Italian Specialists, to offer you a chance to avail of an exclusive 7 night trip to Sorrento Italy, including flights, transfers and half board accommodation. Sorrento and the Amalfi Coast has attracted visitors for centuries who flock to the region to experience what is surely one of the most beautiful places in all of Italy. Sorrento is the go-to place if you want a family holiday that offers a change from the usual bucket-and-spade experience. 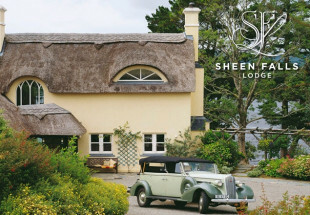 The town itself is compact, making it easy to get around with children in tow, and younger guests are sure of a warm welcome in the many restaurants and colourful ice-cream parlours lining its streets. 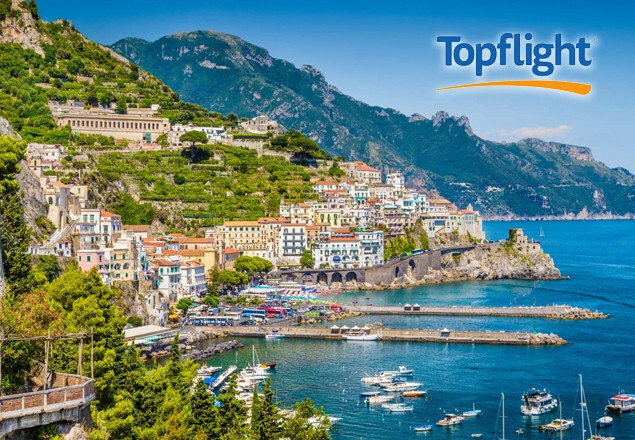 Topflight offers a great selection of family friendly hotels in Sorrento, where Mum and Dad can relax while the kids have the time of their lives. Hotel Conca Park’s location is among the best in Sorrento. Overlooking the stunning historic centre, and just a short stroll from the glorious Sorrentine restaurants, bars and shops, guests of this fabulous four star are within easy reach of everything! Surrounded by lush Mediterranean greenery and boasting modern interiors and fantastic service, Hotel Conca Park proves a popular choice with Topflight guests year upon year. Each pop of colour in every otherwise neutral-toned room adds punch, while the comfortable furnishing and mod cons make the spacious rooms the perfect bases from which to explore Sorrento's beautiful surrounds. Food at the Conca Park is a real winner too. Come dinnertime, there is plenty of choice for even the most discerning of taste buds, and those with allergies or intolerances will be well looked after too. The buffet breakfast is a real treat, thanks to its versatile and hearty options all to be enjoyed alongside sublime views of Mount Vesuvius. 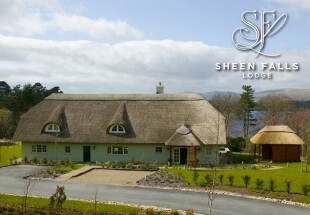 The hotel’s wellness centre is a super spot to blissfully while away a few hours. Lounge in the Turkish bath, spend some time in the whirlpool or opt for one of the many massages and treatments on offer. The hotel’s outdoor swimming pool draws many a sun lover to its beautiful poolside and offers up great views and fantastic cocktails from the Blue Pool Bar! In a quiet spot and boasting a prime position, overlooking the historic centre, Hotel Conca Park is less than a 10 minutes walk from the heart of Sorrento with its abundance of shops, cafés and restaurants. Price is based on 2 people sharing a standard room type in hotels on half board basis. ● This offer is subject to availability at time of booking - early booking is advisable. ● Saving based on information provided by the partner as of the offer start date. ● Purchaser of this offer should call immediately to book with Topflight on 01 2401700 or email: sales@topflight.ie as seats are limited, with your name and voucher code.